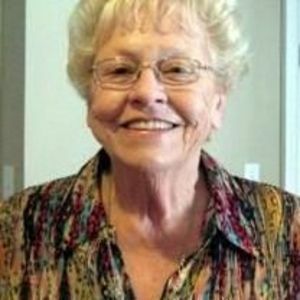 Sue Marshall Tomlin, 72 years old, of Harmony passed away peacefully on September 29, 2017. Sue was born on January 1, 1945 in Iredell County to the late Ralph and Mary Marshall. Sue was a 1963 graduate of Harmony High School. While growing up Sue attended Mt. Bethel United Methodist Church and currently was a member of Harmony Baptist Church. Sue retired as a Lab Technician from Fiber Industries. She was predeceased by her sister, Linda Faughnan and is survived by her son, David Tomlin and his wife Kristen of Harmony, NC; her daughter, Cynthia McCulloh of Woodleaf, NC; her brothers, Everett Marshall and his wife Lucille and Buddy Marshall and his wife Cindy both of Harmony, NC; her sisters, Mary Ann Hedrick of Harmony, NC, Kat Ward and her husband Pete of Statesville, NC, Carol Horton of Wylie, TX, Sarah Williams of Harmony, NC, Jean Marshall of Harmony, NC and Ruth Jones and her husband David of Mocksville, NC; her 3 grandchildren, Megan Cannon and her husband T.J., Ryan McCulloh and Eli Tomlin; her 2 great granddaughters, Zoey and Sadie; her brother-in-law, David Faughnan of Lenoir City, TN and numerous nieces, nephews and friends. A memorial gathering will be held on Thursday October 5th from 1-3pm at Harmony Baptist Church, 135 Little Wilkesboro Rd, Harmony, NC with a 3pm memorial service to follow. In lieu of flowers, memorial contributions may be made in Sue's memory to the Harmony Baptist Church Family Life Center Fund. Bunch-Johnson Funeral Home is honored to be serving the Tomlin Family.